Seems like everywhere you turn, there’s an article or recommendation to convert your traditional IRA to a Roth IRA. Why? It’s simple: unlike a traditional IRA, wherein you can take a tax deduction against your ordinary income for the amount contributed to it and it grows income tax free, a time eventually comes when you have to pay the piper. Typically, at the latest, this happens at age 70½, when a minimum distribution is required from your IRA. All withdrawals from your traditional IRA are then taxed at your then income tax rate. On the flipside, a Roth IRA permits you to put money into a Roth now, without receiving any income tax deduction now, but as the Roth proceeds grow income tax free, they are also income tax free when you take your Roth IRA proceeds. This is very appealing to people who want to minimize their taxes later in life. In my experience, however, most people who do Roth IRAs are not doing them for themselves, but merely to have the protection of an IRA, and to be able to pass the assets to their beneficiaries without having to pay income tax. So what's the downside? Sadly, most promoters of Roth IRAs are not aware of the downside. The primary risk of investing in a Roth IRA is the possibility of it being lost should the need for long-term care arise. The question that centers the risk is whether an IRA is included as an available resource in determining an individual’s eligibility for Medicaid benefits to pay for long-term care. Federal law is clear: an IRA is an available resource in determining eligibility for Medicaid unless it is “annuitized.” Federal law permits states to enforce the federal law as they determine, as long as it’s not “more restrictive” than the federal law. Many states exempt an IRA from being considered available as long as it is in “payout status.” Accordingly, payout status has been interpreted as the IRA owner is receiving regular payouts equal to the required minimum distribution. The greatest risk, however, is that the less restrictive approach is merely a “policy” decision, and the state medical department can change its policy to the more restrictive federal law at any time without notice. There has been a trend in that several states have done this over the past few years. Will your state be next? Another risk of a Roth IRA is that in many states, it is treated like a regular investment account and is considered “available” because there is no required minimum distribution. As an available resource, it must be spent down to qualify for Medicaid benefits. This obviously is counterproductive to the original intention of creating the Roth IRA. Instead of being able to accumulate assets income tax free, seniors are forced to liquidate them to pay for their long-term care cost, which is not ideal because there is no tax advantage to doing so. If a traditional IRA is used to pay for long-term care costs, the offsetting Medicaid tax deduction enables 98 percent of the IRA to be utilized by the IRA owner when used to pay for long-term care costs, rather than the typical 70 percent after the benefit. Not so with a Roth. So what is one to do? It’s easy – use an IPug®. IPug is an irrevocable pure grantor trust that allows the grantor to maintain control of the trust assets as trustee and modify the trust as to the timing, manner and method of distribution and as to the beneficiary. The one exception is that the grantor could never change ownership of the assets or permit principal back to themselves, which acts to protect the trust proceeds from predators and creditors, similar to an IRA. An IPug, however, also has the distinction in that its trust assets are not considered available in determining the grantor’s Medicaid eligibility. An IPug trust essentially works like a combination of a Roth and a traditional IRA, but better. Once you put money into an IPug, if you invest in long-term growth assets, those assets are not taxed until you withdraw them. But, unlike a traditional IRA, if withdrawn, they are taxed at the preferred capital gains tax rate, rather than at the ordinary income tax rate. Most importantly, for most people who never intend to withdraw from their Roth prior to death, the IPug provides the same benefit as a Roth of providing the assets a full “step up” in basis. The primary advantage of an IPug, however, is that the trust assets are passed onto your heirs income tax free and fully asset protected for the rest of their lives. The predominant benefit of an IPug over a Roth, however, is that it is protected from the nursing home during the grantor’s life! That’s a substantial difference that a Roth cannot provide. So, IPug or Roth, you decide – but it’s a great option to offer your clients. Have you been considering becoming a Lawyers With Purpose member? Did you know one of the benefits of being a member is exclusive members only opportunities? One example is to co-author a book with Victoria and I. If you want to learn more about this opportunity consider participating in our FREE WEBINAR "Writing Your Way To Success" TOMORROW, Friday, November 20th at 12 EST. If you're a member and are already joining us - we'll see you there! On occasion, we have clients in their 50s and 60s who are considering remarriage after the kids have grown up, or after they are ready to finally recommit to someone. As an estate planning attorney, what options can we offer them with regard to a prenuptial agreement? Perhaps the answer is an Irrevocable Pure Grantor Trust® (IPug®). Typically, older clients have accumulated some assets, and getting married again creates a whole new dynamic for them. It could be that they lost their spouse or are divorced. The question is, how do you ensure that your client's assets are protected from a second marriage but still ensure that the marriage is whole – that is, both husband and wife participate in the financial responsibilities? An IPug may be your answer. An irrevocable pure grantor trust allows the grantor to maintain full control as trustee. The grantor can modify the trust in any way for the rest of his life, other than to convey the assets back to himself; and can even retain some benefit from the trust, including being able to live in the real estate and retain all of the income from the trust assets. In most states, for a prenuptial agreement to be valid, each spouse must declare their assets to the other and have the other sign off on their rights to those assets after the marriage. Prenuptial agreements are a common practice to ensure that the assets of each spouse are protected from the other if the marriage does not last, or if one spouse later dies. Prenuptial agreements can be quite dicey to bring up in a new relationship, as it calls into question the very act of marriage, which is supposedly "forever," and it also raises the question of whether one “trusts” the other. A solution that can manage all of this is to use an IPug. As an irrevocable trust, once funded, the grantor can never again take ownership of the assets, but the grantor can still control all of the assets and maintain basic benefits. Since you irrevocably give up your right to even get out the assets you put into an IPug, your spouse can’t own them in a divorce and will have no dowry or right of election. Having an individual create an IPug and put the majority, if not all, of their assets into it is a proper way to protect their assets from creditors and predators. Is a spouse not a potential creditor or predator? So utilizing an IPug trust might be an ideal way to have the same legal effect as a prenuptial agreement. The question becomes determining the powers of appointment language to ensure that your assets are protected, but also so you have the option to benefit those you intend, including your new spouse if you so desire. Allowing your spouse to be a beneficiary of your power of appointment would subject the trust principal to being an available resource if the spouse needed long-term care. Alternatively, if the client has long-term care insurance and other means to pay for long-term care, one could consider allowing the grantor to include a spouse in the powers of appointment. Obviously, the power is retained by the grantor, and only he or she would decide if and when a new spouse may be able to benefit from the IPug. So, prenup or IPug? And, if IPug, what are the provisions? That's where the Lawyers with Purpose, client-centered software will help you. Contact us now for a live software demo. It has been “X” months since you filed the VA formal claim, and your sole correspondence from the VA consists of periodic form letters apologizing for the delay. Your calls to the VA inquiring about status reveal only that the claim is still pending, but your client is getting exasperated hearing that the average processing time for approving VA claims is less than “X” months. Congressional assistance is when a private constituent requests a member of Congress to inquire on their behalf in the administrative proceedings of a governmental agency, in this case the Department of Veterans Affairs. The purpose of doing so is to force the VA to pull a specific claim from their backlog and expedite it. The actual result is not always that, it seems. There are reports of success from various internet forums dedicated to veterans’ benefits – people who swear that, had it not been for Senator So-and-So, their VA claim would never have been approved. But there are even more grumblings on the same forums that such congressional inquiries merely elicit a form letter, and then your file returns to the backlog BUT at the end of the queue. This is horrific enough to scare you off from considering making any such inquiries, but at times of sheer desperation it can be a tool to make the VA respond, or to be able to get a copy of a VA response. Then sometimes a client’s family will demand it because apparently it had been done successfully by their hairdresser’s brother-in-law’s grandfather. Therefore, you should be aware of the option of requesting congressional assistance with a VA pension claim, how to do it, and when it may be appropriate to do so. How do you file a Congressional? First, you need a member of Congress. Our firm generally uses a senator. I don’t know that there is any advantage to having a senator rather than a member of the House of Representatives making the inquiry. However, you must be aware that not all members of Congress may be receptive to making such inquiries. If their platform and/or expressed political views suggest that veterans’ benefits may not be a priority, you may need to approach with caution. Most members of Congress have websites that post information for the types of assistance they provide. Members of Congress who do count a large number of veterans among their constituents may even regularly reach out to explain what specific services they can provide for them. This assistance generally requires a privacy release form that must be signed by the veteran or other type of claimant so the VA will release information to the congressperson’s office. Our firm sends the privacy release form with a letter requesting assistance on behalf of our client, and includes a timeline of the claim highlighting any major dates relevant to the claim process. We also mention in this letter any circumstances that may merit that the claimant’s request be considered with utmost urgency. This would include statements, if applicable, as to the claimant’s terminal condition, advanced age, and/or financial hardship. Once their office files the inquiry with the VA, that agency must respond within a certain amount of time, even if it is just a form letter apologizing for the delay. The congressperson’s office generally then forwards a copy of the VA correspondence to the claimant. When do you file the Congressional? This is the hardest question to answer, and the only quick and easy way to do so is as follows: It depends. You may be pressured by your client to file a request for congressional assistance at any point after submitting the formal claim, when presumably the VA should have everything it needs to decide the claim. Your client can also certainly request assistance on their own without your firm’s involvement. However, given the mixed results, I would recommend that you consider it primarily as a last resort, meaning you should exhaust all other means first, like calling the VA for status inquiries and to follow up on submitted requests to expedite a claim due to terminal condition, advanced age and/or financial hardship. You also need to decide, given the average amount of time it is taking for the VA to process your firm’s claims, at how many months you are going to seriously consider requesting congressional assistance. Our firm currently uses the one-year mark after filing a formal claim to start considering this option, but this is subject to change as we see claim processing times change over the years. Bear in mind that processing times vary regionally, and that overuse of your local congressperson will not earn you much love from his or her office. Reserve the request for congressional assistance for those VA claims that truly seem to have dropped off the face of the earth, or for those claimants who may end up in extreme financial straits or who for medical reasons may not survive to receive the benefits to which they are entitled unless they are awarded right away. Lawyers With Purpose is offering a FREE Webinar on Wednesday, December 2nd at 12 EST on "Trust Planning for VA Benefits After the Proposed Look Back Takes Place" - click here to register now. Transfer penalties for VA claimants are expected to be implemented in February 2016. What does that mean for your trust drafting services? Will we need to change the language in our trusts? Or, worse yet, start using totally new trusts? Attend the upcoming VA Tech School Training on 12/2/15 on Drafting Trusts After the Laws Change and find out! Register today as we have limited space! What is the greatest success I've had since joining LWP? My greatest success has to be the fact that because of the coaching I received from Nedra, that I started putting on workshops regularly. I had for the past two years had it on my agenda to set up workshops, but never seemed to get around to it. By Nedra holding me accountable, I finally put events on my calendar. This has allowed me to diversify my revenue stream from being 100% reliant upon inconsistent referrals. It has also allowed me to be more efficient with my time, rather than going through all of the education with every prospective client. What is my favorite tool? 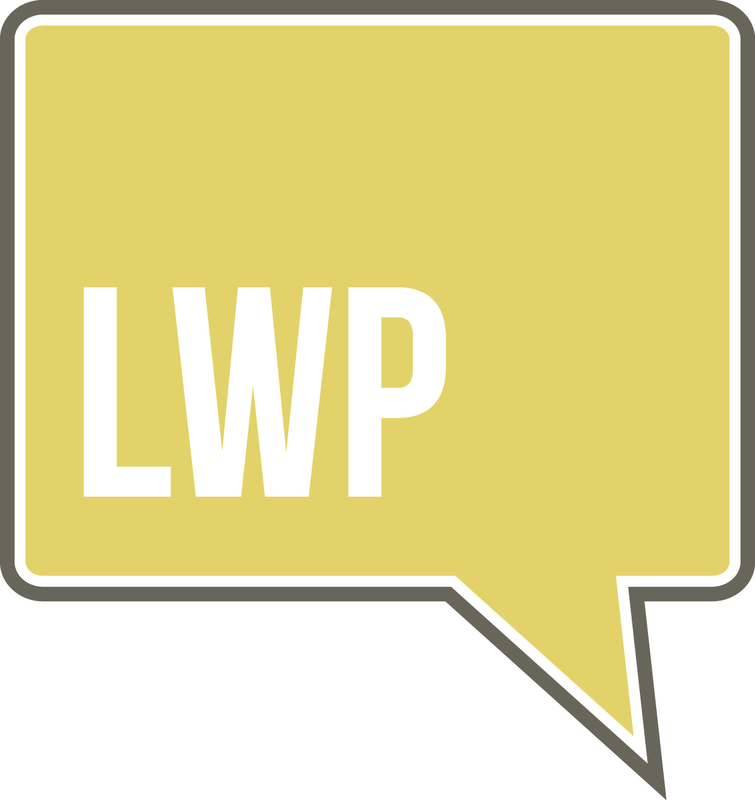 My favorite tool of LWP is the resources available on the member website. Not only am I able to have access to resources to streamline my processes within different aspects of my practice, but I can watch webinars and access other valuable educational resources. It has allowed me to increase my practice efficiency and greatly improve my legal/technical knowledge, at a time that is conducive to my daily schedule. I think all of the available resources has translated into making me more confident in what I am presenting to prospective clients, and much better resource for clients and their families. How has LWP impacted my practice? LWP has impacted my practice in a number of ways. It has allowed me to increase my knowledge in the area of Elder Law and Grantor Trusts. I kept running into client issues that demanded the knowledge of Elder Law, but I really knew very little prior to joining LWP. Further, it has prompted me to take a hard look at my business and my revenue streams, including how to decide where I was not getting a good return on my investments. LWP also made me ask questions I never asked of clients before. Now I believe that I am giving my clients what they truly need based upon the way they answer the 15 questions, not what is easiest for them to understand, or what I thought they should do. My process with clients is much more interactive in choosing the plan that fits their family, their goals and their wishes.